Finishing your new vinyl replacement windows isn't as hard as you think. Although many people leave finish work to the pros, all you need is the right tools and a little patience to get the job done right with results you'll be proud of. The first step to a professional trim job is making sure you have the right tools for the job. You'll need a good quality table saw in order to make nice straight cuts for the moulding. You'll also need a good quality paintable caulk which you will find at any home improvement store. You'll also need finish nails and the moulding of your choice. Be sure to choose a window casing that matched the other mouldings in your home or your window will end up sticking out like a sore thumb. 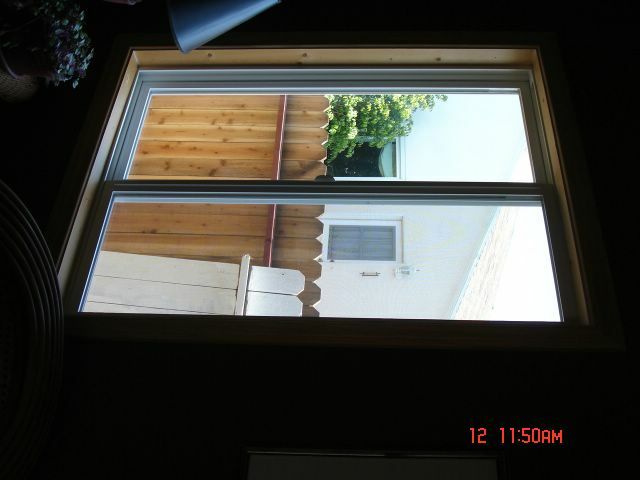 If your window was installed flush with the existing framing, the hardest part is already done. If not, you can choose to finish the inside frame one of two ways. The first is to simply caulk around the window to keep dust, water and bugs from creeping around between the window and the framing. Do it this way only if the drywall is is pretty good shape and you are able to repair any small holes with spackle. 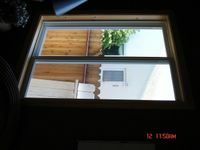 You can also finish the inside of the window with a strip of wood that you can finish with paint or stain. It's ideal to paint the wood before you begin your cuts because that way you can simply touch up the strips after nailing them to the wall without having to tape anything off. Cut the wood so it fits flush with the window and flush with the inside of the window frame. After you fit the wood inside the frame, nail it down with finish nails an cover with a bit of caulk to hide where the nail is. Next, you'll cut the outside moulding at a 45 degree angle on both ends. Cut one piece for each side of the window. Typically, moulding is hung slightly outside of the actual opening. This gives it a little bit of character and helps the window look a little bigger too. Once you nail in the moulding, all you have left to do is the easy part. Finish it off by covering the nails with a bit of caulk and touch up the paint as needed.